Ahead of Saturday’s presidential election, the United States has declared that it’s not supporting any candidate participating in the poll. A statement signed the US Ambassador to Nigeria, Stuart Symington on Tuesday, said the US was not backing any candidate because his country supports a level-playing field during the elections. According to the statement: “The United States Embassy in Nigeria wishes to reiterate unequivocally that we are not taking sides in Nigeria’s election. We do not support any party or candidate. “In the final run-up to the Feb. 16 vote, fake news, and rumors are operating in overdrive. But it must be repeated: we are not taking sides. The US envoy also declared that his country’s aids to Nigeria will remain, irrespective of who wins the election, pointing out that the US has an enduring friendship with Nigeria. He said: “The United States is Nigeria’s long-term and enduring friend. We provide more than $1 billion in assistance and help save more than 2 million lives of Nigerians each year through our health and humanitarian assistance. This will not change. We are Nigeria’s good partner, and this will continue after this democratic election – no matter who wins. 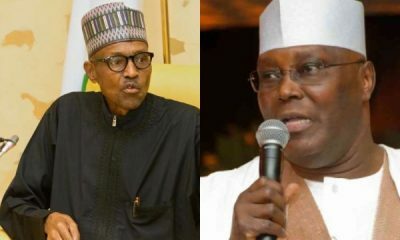 This is coming at a time the spokesperson of President Muhammadu Buhari’s campaign organization, Festus Keyamo accused the United States of showing double standards by supporting the candidature of the Peoples Democratic Party, PDP, presidential candidate, Atiku Abubakar. Keyamo had said the US Ambassador “seems to be saying that only a PDP victory will be evidence of a fair election”.